Some advice: refrigerating tomatoes halts the ripening process and diminishes the flavor and texture – so don't. For rapid ripening, place them in a paper bag with a banana or apple and let the ethylene gas do its work. Never use metal pans, spoons or storage containers, because impurities and poisons, including aluminum, can be absorbed first by your tomato products, and then your body when ingested. Grow heirloom in your own garden or look for organics to avoid GM tomatoes. To peel in seconds,boil a pan of water deep enough to immerse your largest tomato. Put one in, then another and fish the first one out with a non-metal slotted spoon. Keep doing that so each tomato has been immersed for about 15 seconds. That's all it takes, really. When they've cooled, remove the core with a sharp paring knife, score an "X" on the bottom and strip off the skin. Voilà! One of the amazing things about tomatoes is the wide variety and quantity of nutrients they provide. So they aren't just good - they're good for you, too, supplying excellent amounts of fiber, vitamins A, C (to resist infections), and K, potassium (controlling heart rate and blood pressure), and manganese. Good amounts of vitamin E (alpha tocopherol), thiamin, niacin, Vitamin B6, folate, magnesium, phosphorus, and copper are other resources. In daily value, tomatoes provide 38% of what is needed in vitamin C, 30% in vitamin A, and 18% in vitamin K. Best of all: no fat and cholesterol. Bisphenol A (BPA) is a topic which, if you've not studied, is significant in regard to canned foods; not in the least, tomatoes. It's an ingredient in the vinyl lining, which in theory separates the food from the metal of the can, but is harmful because it can leach into the body, adversely affecting the brain, behavior, and prostate gland in fetuses, infants, and children, and the way estrogen is metabolized. It can show up in breast milk – altogether, not good for women or anyone else. Interestingly, the FDA, while acknowledging that there may be risks associated with BPA levels and that their earlier "not to worry" reports may have been premature, published plans to reassess the situation in March of 2012. However, they still have no set standard1. Europe, on the other hand, limits the parts per million to 600. Note: To control your intake, look for "BPA-free" labels on all canned foods. Tests indicate that tomatoes may be a preventive factor against prostate cancer, especially ingesting larger amounts2. Rated by high, medium, and low intake percentages, one tomato per day was considered a low amount. We hear a lot about flavonoids and antioxidants being able to neutralize harmful free radicals in the body. 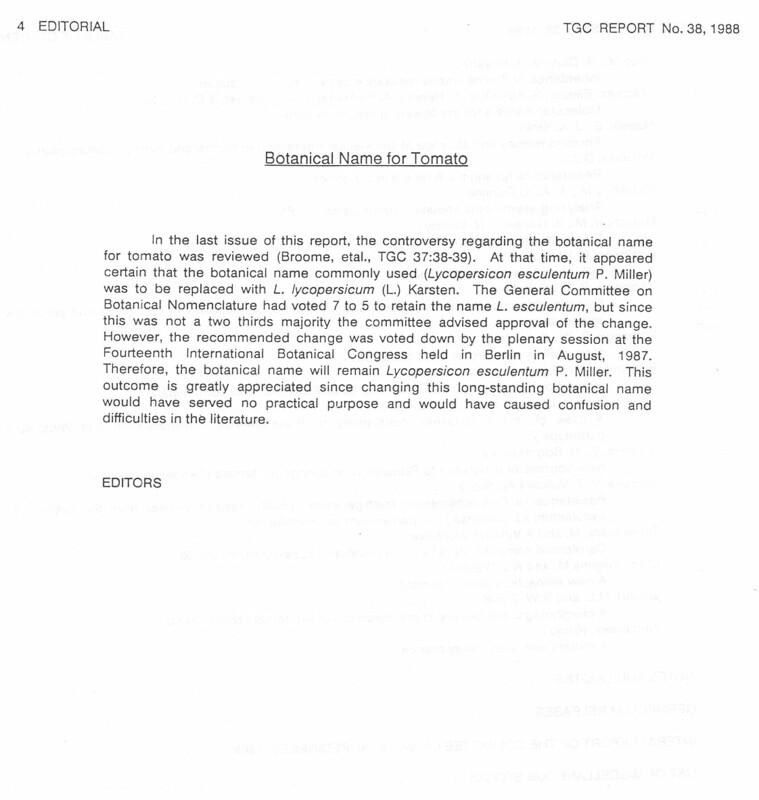 Lycopene shows up in a big way in tomatoes. This flavonoid antioxidant has the ability to protect the cells even as it protects the skin from ultraviolet damage, and as a possible result, skin cancer. Another prominent phytonutrient in tomatoes is zeaxanthin, which filters UV rays and protects the eyes to the extent of possibly preventing age-related macular degeneration. Lycopene presence in tomatoes has proven itself to decrease oxidative stress and risk of osteoporosis, but researchers conducted further studies to determine the effects of withholding lycopene from the diet of 23 postmenopausal women for a month. Results showed not only depleted lycopene levels, but "significantly" lowered lutein, zeaxanthin, carotene, enzymatic superoxide dismutase, catalase, and glutathione peroxidase levels as well. These findings showed lycopene's capacity to maintain bone density and reduce osteoporosis3. In a large bowl, combine all ingredients, except garnish items. Cover and chill at least 2 hours or overnight. Serve in chilled bowls and top each serving with a dollop of yogurt, 1 Tbsp. cilantro, and a few avocado pieces. A multiplicity of varieties and preparations make tomatoes one of the most anticipated hallmarks of summer. The lycopene alone is enough to make tomatoes one of the healthiest natural foods. Cardiovascular support and bone health are two functions the phytonutrients tomatoes provide, but their ability to cut cancer risks is also well documented. Studies suggest a link between tomatoes, lowered obesity, and even Alzheimer's disease. How fortunate we are to have such a delicious, versatile vegetable (fruit, technically) to enliven the dishes we prepare – not just for enjoyment, but for life!